Even the best man eventually becomes accustomed to cruelty. Early morning spread itself around the Hamburg in a seamless pearl gray, sky blending softly to sea. Small whitecaps drove lightly eastward over the sparkling Atlantic. A calm sea, the Hamburg cutting through with smooth, blunt, confidence. She was of the new technical tradition, full of Prussian directness. The snub curve of her bow had been calculated mathematically, ignoring tradition, and she had just two broad, short, airfoiled stacks. At 52,000 tons, driven by six Blohm and Schlosser turbines, the Hamburg was clear evidence of a Germany come alive from her season in hell – defeat in a great war, the humiliations of Versailles, loss of priceless lands, impossible war debts, national bankruptcy, political impotence, decadence and despair. Today her crew could carry themselves with pride. 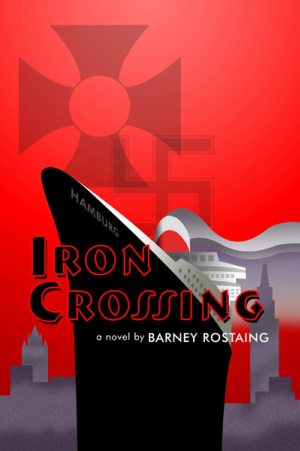 It amused Schott that these mystery passengers were beyond Gestapo authority, but a ship with any area unavailable to her master was unheard of. The circumstances of this late August crossing were unique though, and he wasn’t very critical of the government. Like many, he was relieved that there finally was a government, and jobs, and a stable currency. Having seen near-absolute devastation of his country extend more than a decade, he accepted the overweening Gestapo and the irregular status of Suite # 1 as the price. He was more concerned with the Normandie sighting, which confirmed his fears: if Poland did not cede Danzig, it was war. Schott had seen war up close on a destroyer twenty-odd years before, and seen friends die. He hated war as much as he loved his country, but he felt it coming and accepted it. Versailles had been too much – Danzig and the Polish Corridor were German soil. Stepping away from these thoughts onto the bridge deck he felt a steady twelve knot breeze, the air Pacific-warm because of the southerly course he’d taken to avoid the usual lanes. If war broke out, he did not want the British to know where his ship was. Except for her speed, the Hamburg was defenseless.